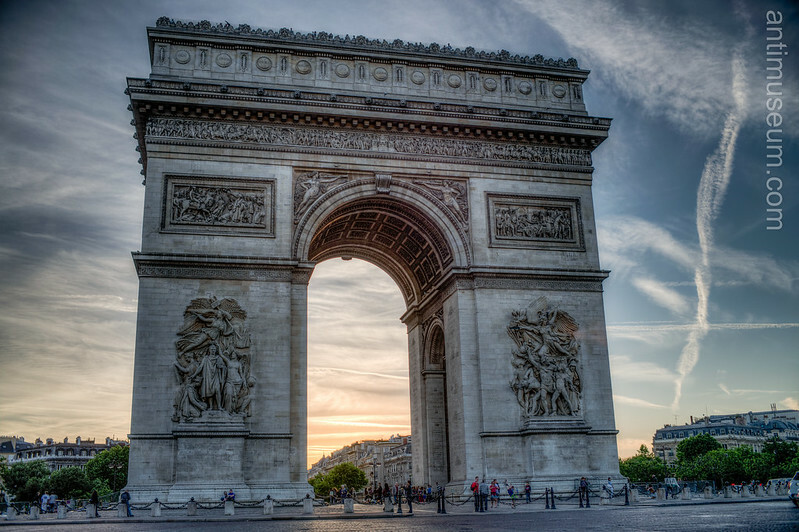 A great classic, I hadn’t taken pictures of the Arch of Triumph (Arc de Triomphe) since at least 1987 or 8. This is an HDR shot made of 3 bracketed shots taken in a fraction of a second; dodging the passing cars was a bit of a challenge. The lens is my fixed manual Nikkor O 35mm.